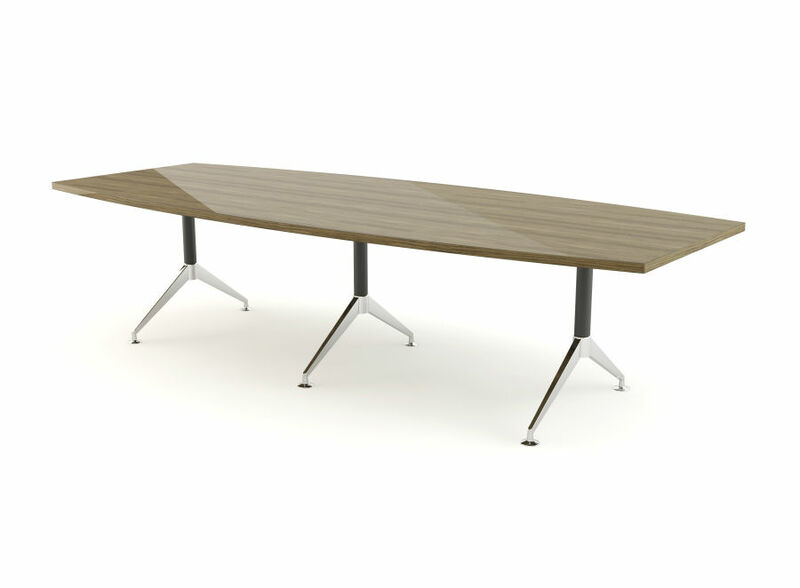 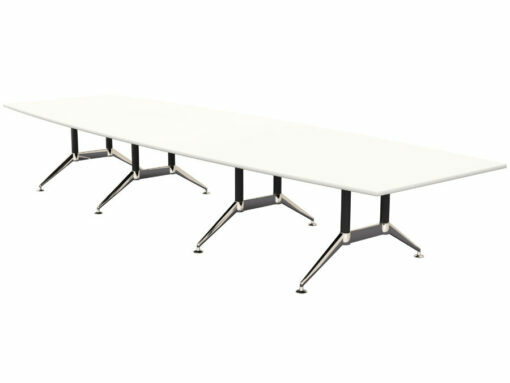 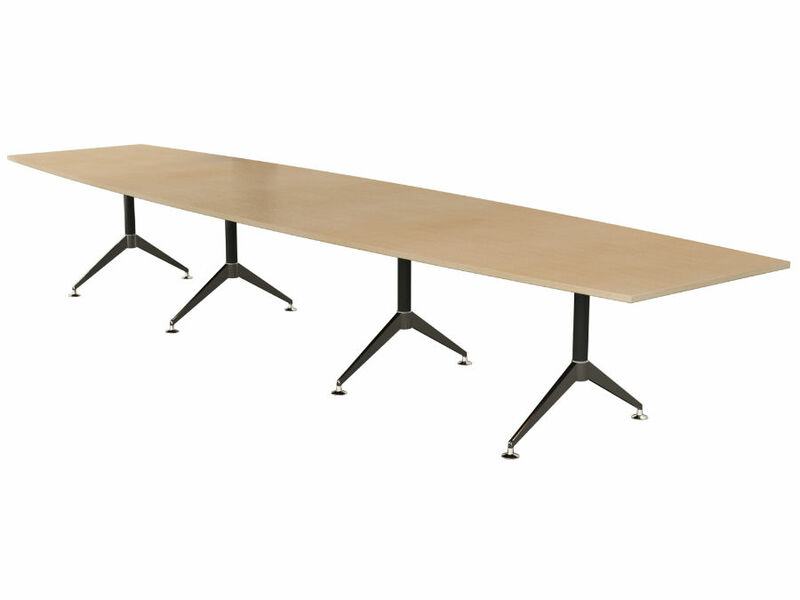 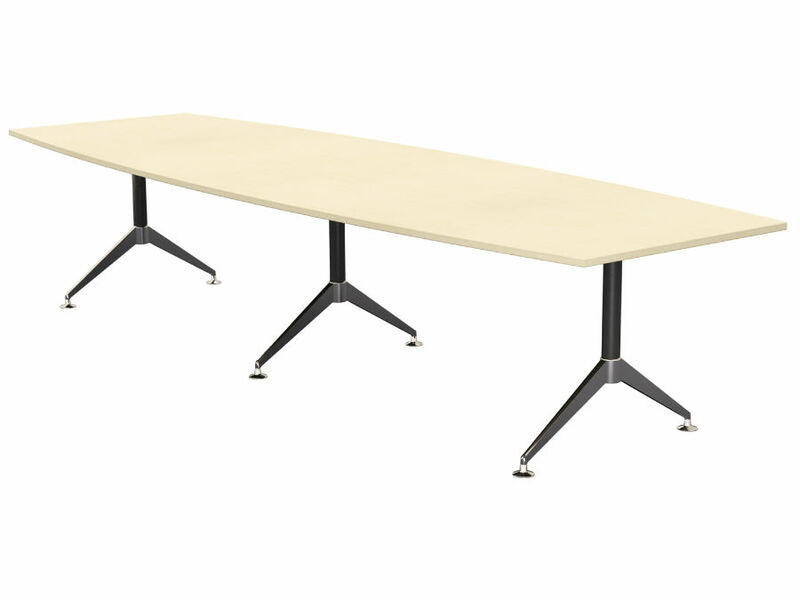 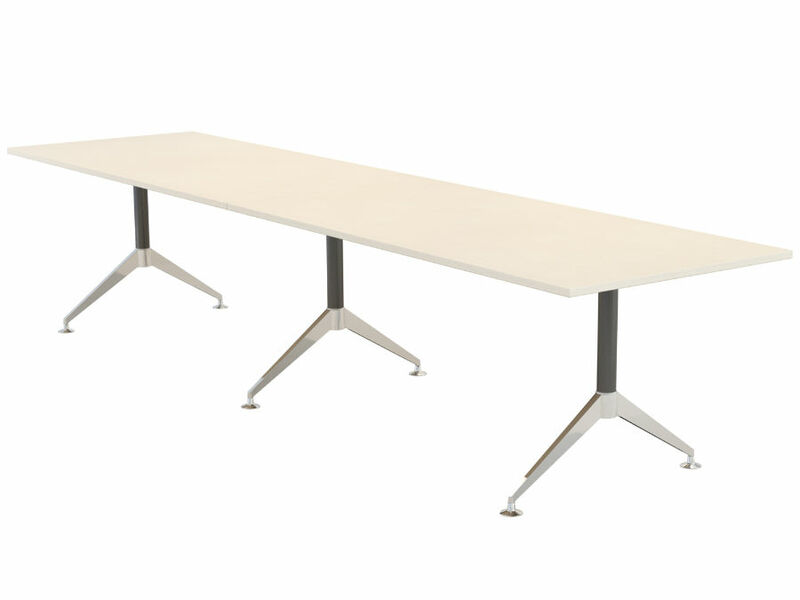 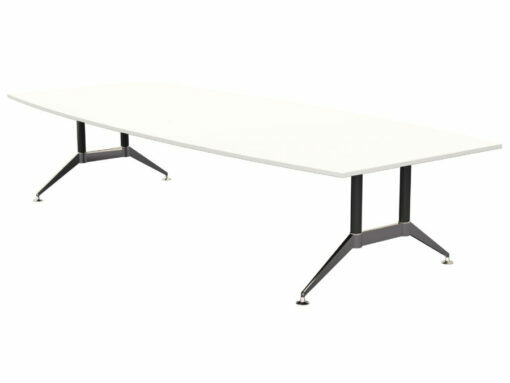 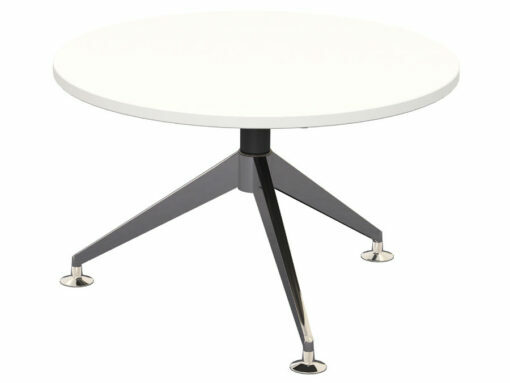 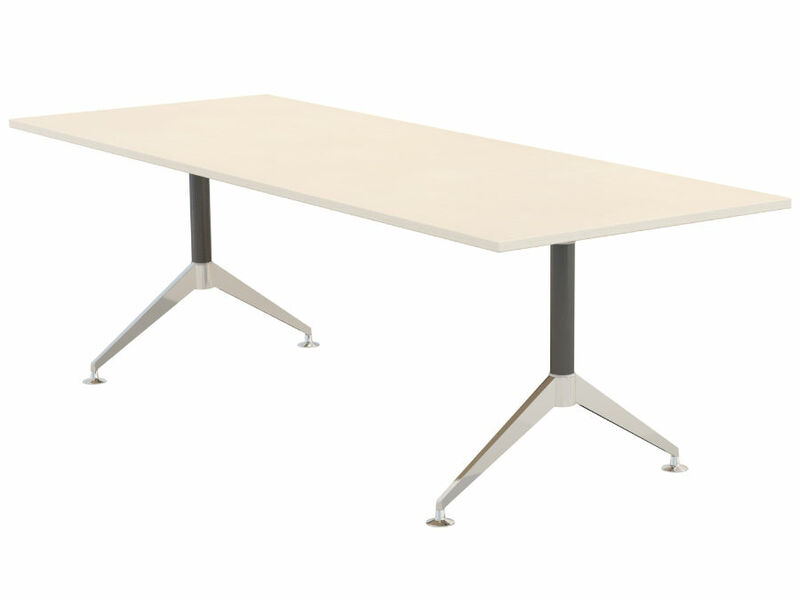 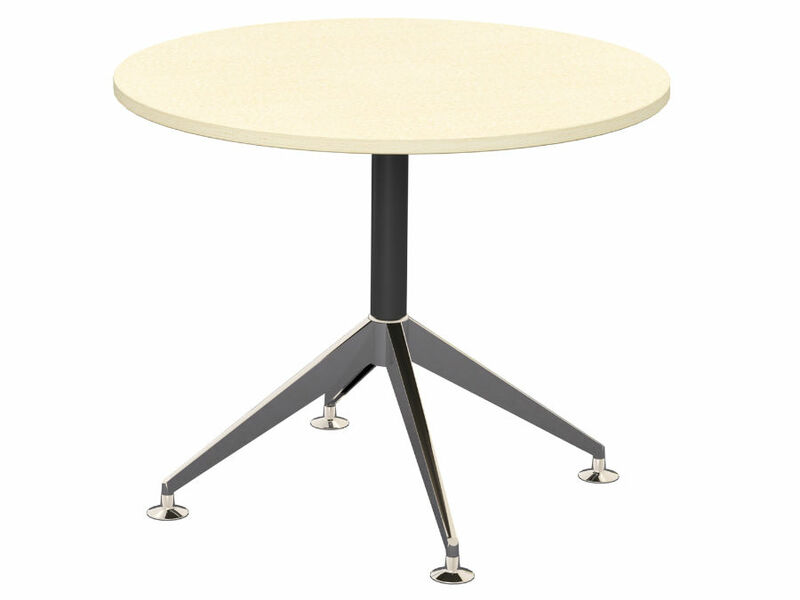 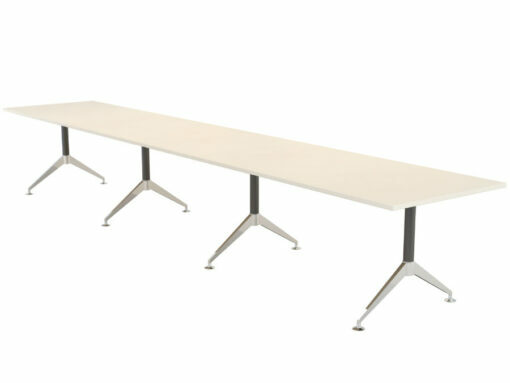 The Atticus table program boasts contemporary, angular lines that appear striking and formal, asserting itself as a multipurpose system designed to provide a multitude of table shapes and sizes including square, circular, rectangular and soft rectangular. 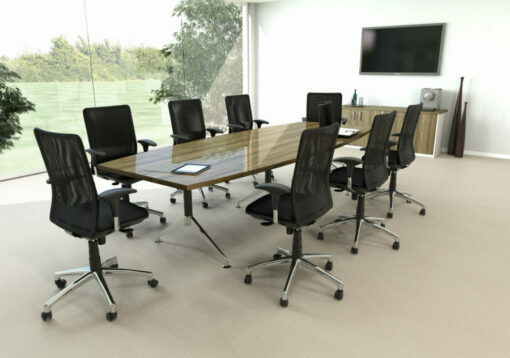 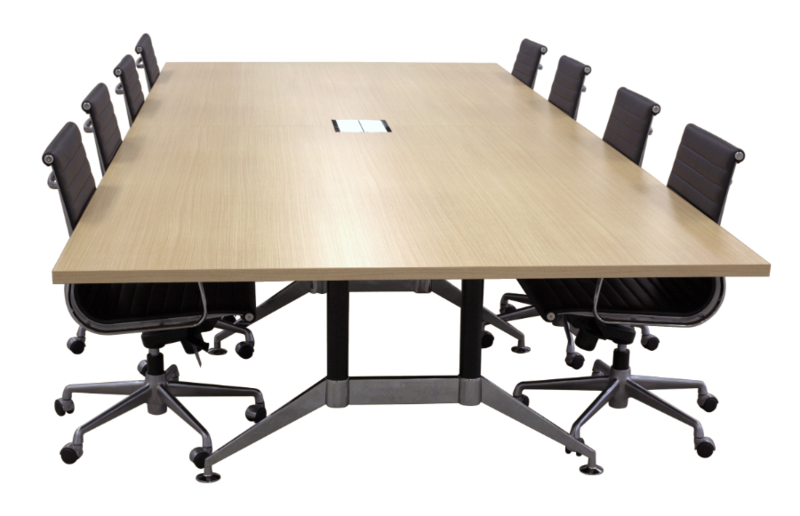 The program spans from 800dia coffee tables through to vast boardroom tables and executive workstations. 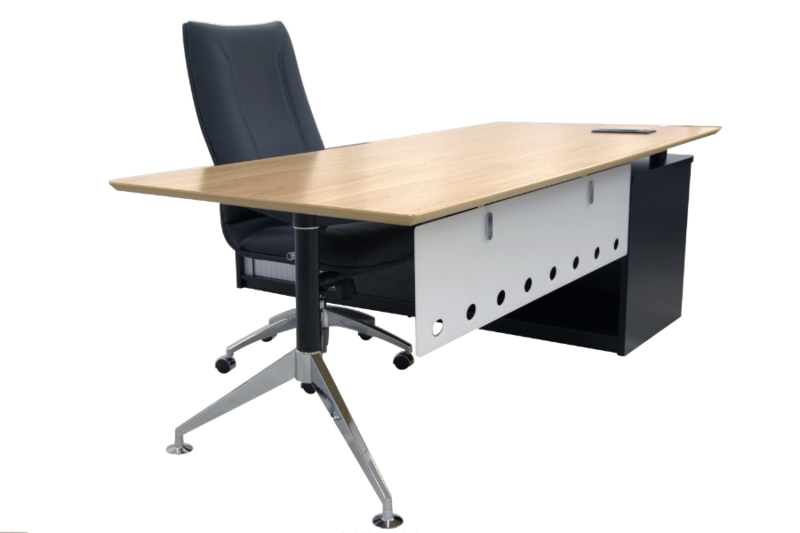 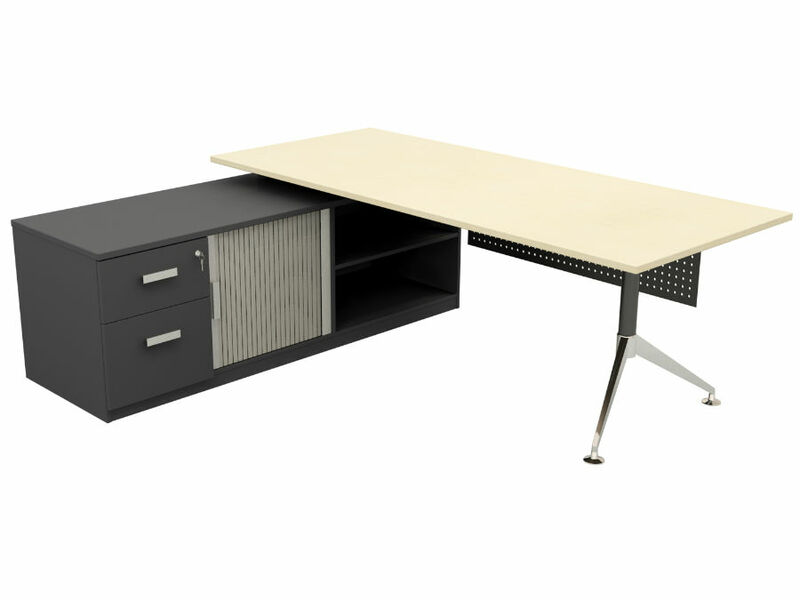 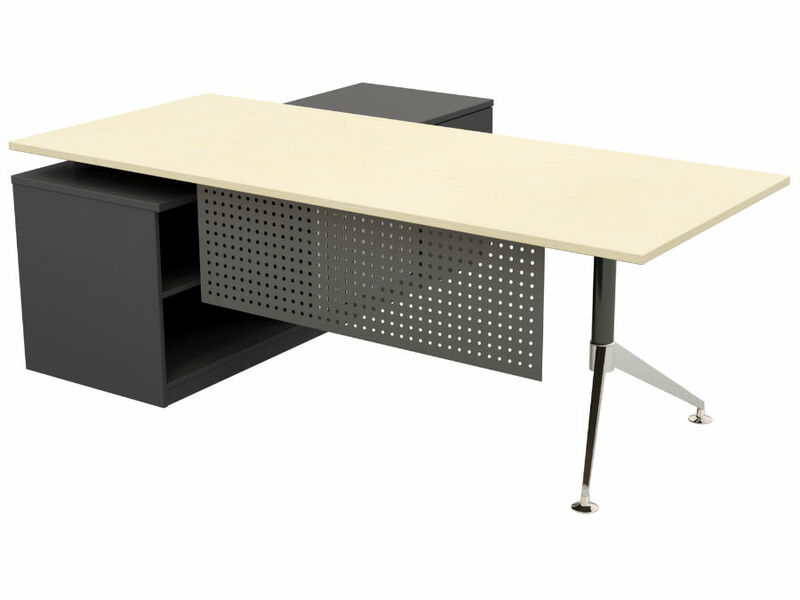 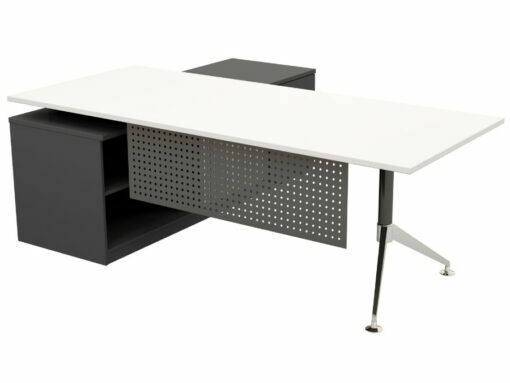 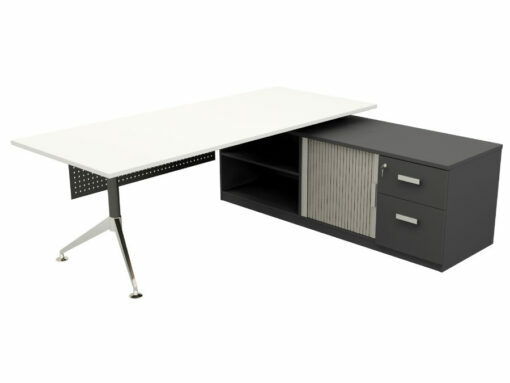 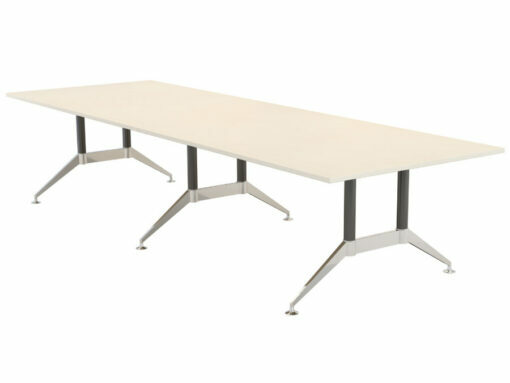 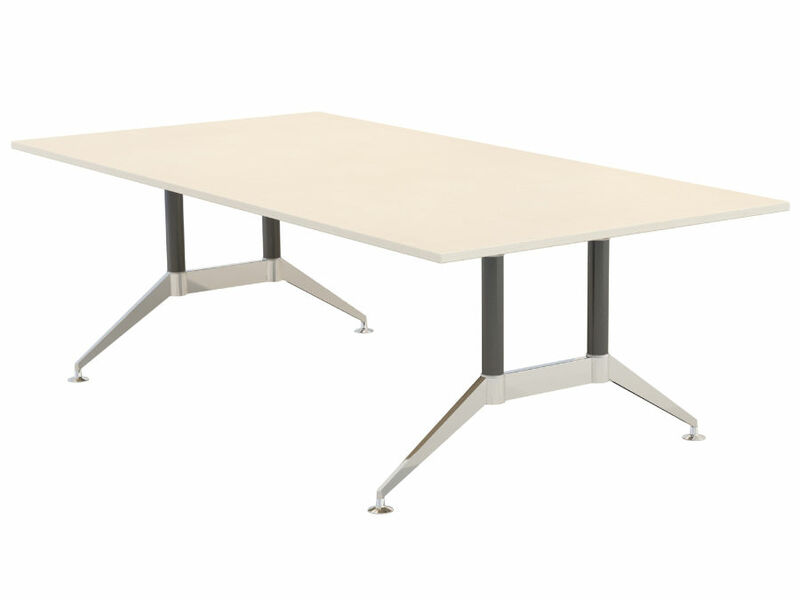 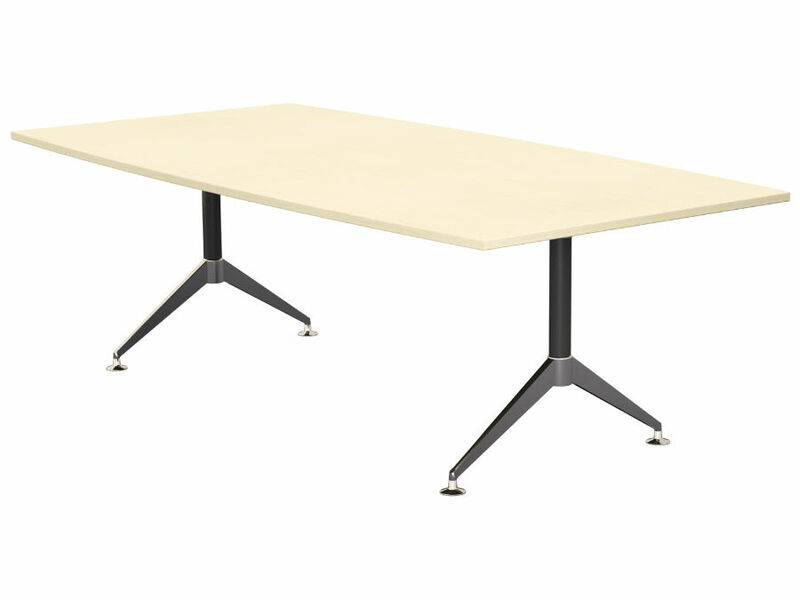 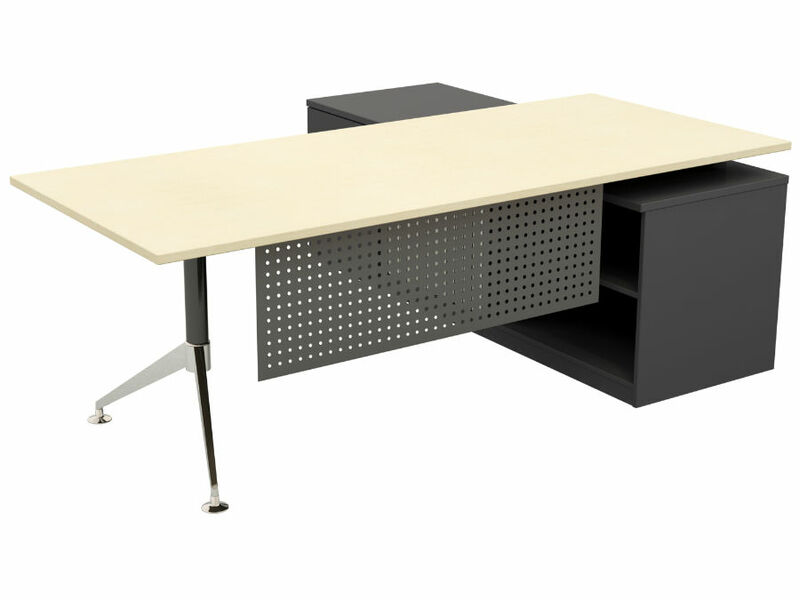 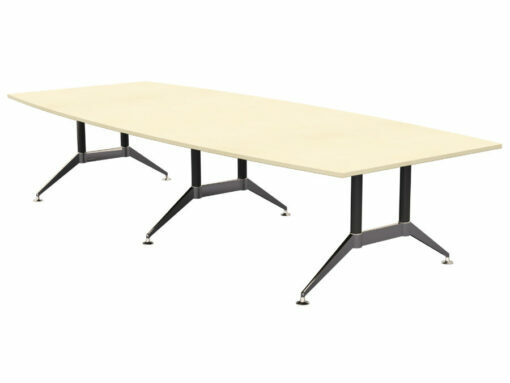 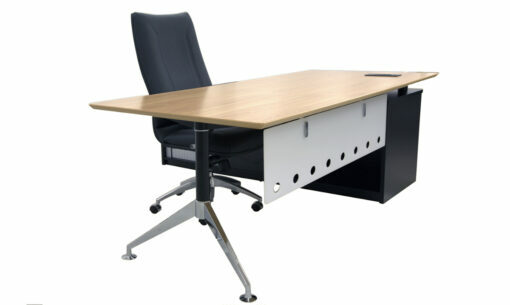 Rectangular, soft rectangular and executive workstations can be specified with power, USB, data and AV connections in standard or custom configurations. 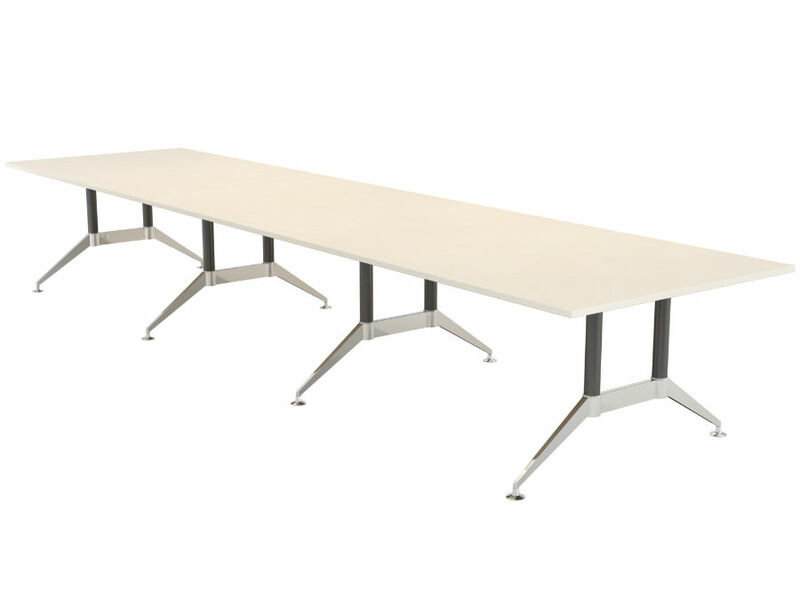 Atticus uses aluminium components coupled with rigid or telescopic steel cross beams available to suit many requirements.